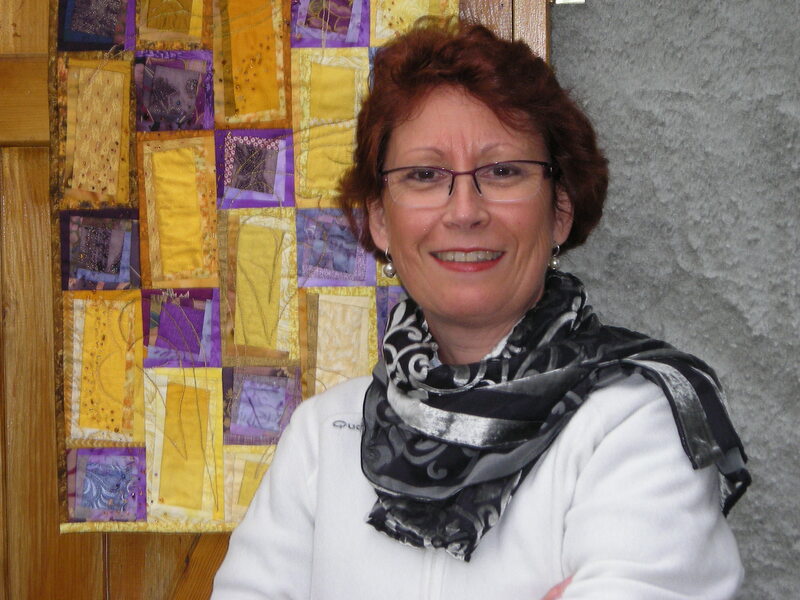 I am a textile artist and live in a rural area in the French Alps. I have been playing with fabrics since I was a child. As with many of us, I started quilting with traditional quilts, but I am now more and more attracted by contemporary and arts quilts. I recently completed the Level 2 Certificate in Creative Technique in Textile. I love to introduce hand printing and try new techniques in my quilts, as well as to dye my own fabrics. My quilts are inspired by nature, landscapes and from pictures taken when I’ am travelling. I also love teaching, it is so rewarding to share knowledge and meet new people.